The period between 1995 and 2005 was a tumultuous one for low- and moderate-income (LMI) households seeking to purchase their first home. A booming housing market, stagnant incomes, and low interest rates taken together have presented both opportunities and challenges for these households. Meanwhile, regional disparities have increased markedly due to the different rates of price appreciation across housing markets. 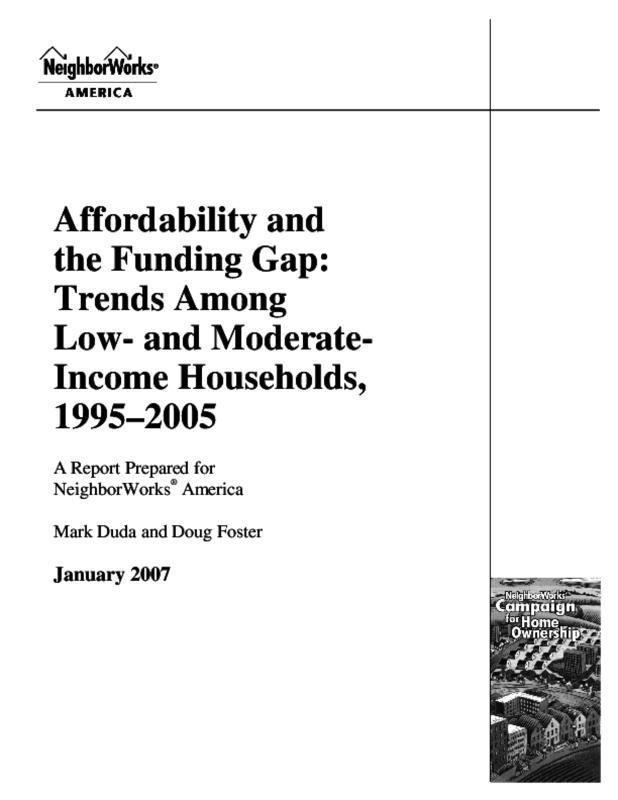 The upshot of these regional disparities is that LMI households can achieve homeownership without significant subsidies in some places, while in other places multiple layers of grants and concessionary financing, in combination with other policy tools, are the only hope for such families to ever achieve homeownership. The severe erosion of housing affordability in many markets has undermined the ability of government and nonprofit organizations to promote homeownership attainment by blunting the effectiveness of their traditional policy approaches. The response to this situation is a two-stage process. First, the nature of affordability challenges must be understood at the market level, and metropolitan-level housing markets must be accurately classified based on the difficulty that low- and moderate-income households face in becoming homeowners in each place. Second, organizations operating in each market must have access to the right tools to help their clients become owners; the approach must be accurately matched to the affordability regime in the market(s) in which they operate. This paper addresses the first issue. It develops a housing market typology based on affordability into which markets can be sorted, and to which homeownership policy approaches can be matched. The paper unfolds in several steps. It begins by deconstructing housing affordability into three elements -- house prices, incomes and mortgage costs -- and reviewing recent changes in each. It then looks at the performance of house price indexes over the past decade, explaining why they tend to show only small affordability declines despite substantial changes in house price. Following this, the paper examines affordability conditions for low- and moderate-income families in 127 housing markets using two measures: the change in affordability-index values and the gap between the maximum mortgage a household can afford and the amount required to purchase a modest home. Based on these results, we develop an affordability-based typology of market types that can be linked to policy interventions designed to promote homeownership attainment in each type of market.